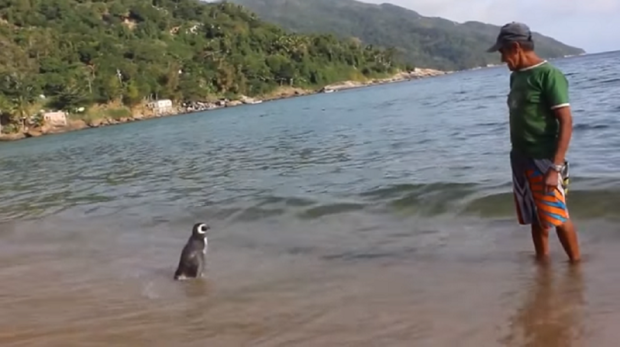 This heartwarming story of the day is brought to you courtesy of a little Magellanic penguin and the man who saved his life. 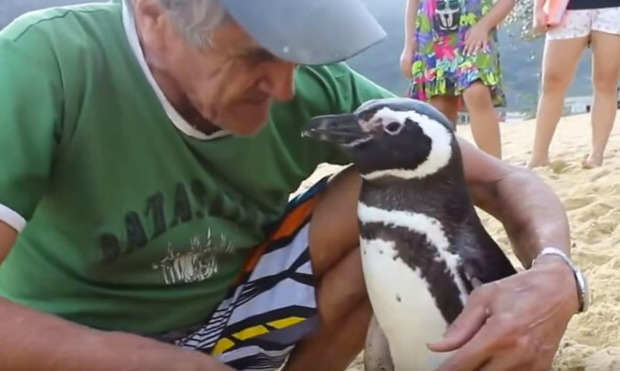 A penguin in South America swims 5,000 miles each year to be reunited with retired bricklayer and part time fisherman Joao Pereira de Souza, 71. 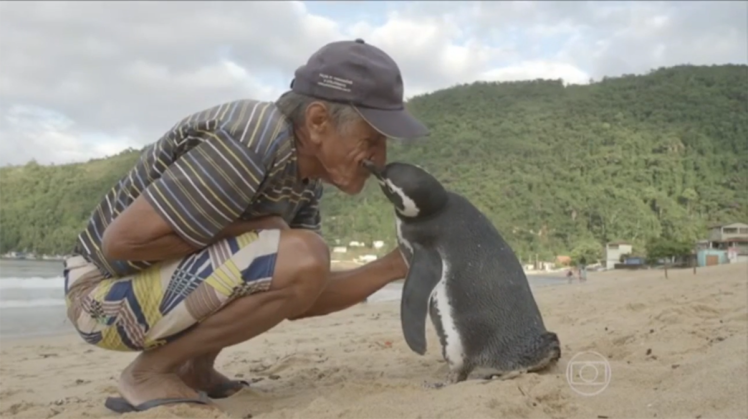 De Souza lives in an island village just outside Rio De Janeiro, Brazil, and this is where he found the tiny penguin, covered in oil and close to death on his local beach back in 2011. He cleaned all the oil off the penguin’s feathers and fed him a daily diet of fish to build up his strength. He named him Dindim. But only a few months later Dindim was back. He spotted the fisherman on the beach one day and just followed him home. Since then, Dindim has spent eight months out of each year with Joao and spent the remainder of that time breeding off the coast of Argentina and Chile. I love the penguin like it’s my own child and I believe the penguin loves me. No one else is allowed to touch him. He pecks them if they do. He lays on my lap, lets me give him showers, allows me to feed him sardines and to pick him up. ‘Everyone said he wouldn’t return but he has been coming back to visit me for the past four years. He arrives in June and leaves to go home in February and every year he becomes more affectionate as he appears even happier to see me. Get Disney on the phone, there’s got to be a film in this, surely?